After learning that the terrifying "ballistic missile threat inbound to Hawaii" message sent out by the state's emergency services was the result of an employee "pushing the wrong button," social media users have been on a ruthless quest to troll local government officials, the president, the media, and just the absurdity of the entire situation. Saturday's erroneous all caps "THIS IS NOT A DRILL." nuclear missile strike emergency alert sent hundreds of thousands of residents of the state of Hawaii into a panic, with people sending out chilling goodbye messages and trying desperately to save themselves from the phantom incoming North Korean nukes. — Joe Walker (@_JoeWalker) 13 января 2018 г. — Sir Ravindra Jadeja (@SirJadeja) 13 января 2018 г. However, Hawaii Governor David Ige's effort to reassure the public, including a Twitter apology and the admission that the alert was "a mistake made during a standard procedure at the changeover of a shift," where "an employee pushed the wrong button" only succeeded in turning terror and shock into anger over the government's incredible incompetence. — Governor David Ige (@GovHawaii) 14 января 2018 г. But comedians, both professional and amateur, saw the fiasco as a perfect opportunity to ply their trade. — The D J (@thedjmkd) 13 января 2018 г. — aasif mandvi (@aasif) 14 января 2018 г.
Hawaii missile warning technician — "damn, first day on the job. Come on Gerald u can do this"
— Fred Delicious (@Fred_Delicious) 13 января 2018 г. Move the button that says "WE'RE GOING to DIE" away from the button that says "ORDER SUSHI"…..
— hey it's me! 🇺🇸 (@John3_and_16) 14 января 2018 г. — Tiffany🇺🇸👌🏼 (@Tiffany83_) 14 января 2018 г. As expected, the incident also led to the birth of dozens of hilarious gif-based memes. — mad-liberals (@mad_liberals) 13 января 2018 г. — · K · (@peachy_katiee) 13 января 2018 г. — Vsevolod 🏳️‍🌈 (@UmmHomosexual) 13 января 2018 г. — 剣 Devil Kenny V (@kennycide) 13 января 2018 г. Other users took a more serious tone, pointing to the incident as evidence of what happens "when the nuclear age collides with the digital age." Hawaii false alert should be an early warning sign of what happens when the nuclear age collides with the digital age. Panic precedes confirmation; decision-times shrink. 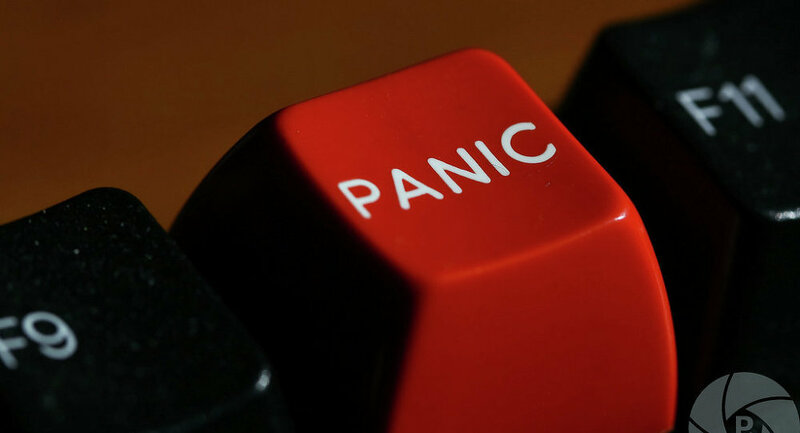 In Cold War we had more than a few false alarms, but they were detected before someone hit the panic button. — David Sanger (@SangerNYT) 13 января 2018 г. — Ken Kami (@BrevityGames) 13 января 2018 г. The False Alarm in Hawaii this morning should act as an ice cold shower to President Trump who uses the threat of Nuclear war to brag about “button size” while making it his goal to come up with a bigger insult than Kim Jong Un can, rather than aiming for a peaceful resolutions. — Ed Krassenstein (@EdKrassen) 13 января 2018 г. — Gerald Fariñas (@GeraldFarinas) 14 января 2018 г. A few even suggested that there may have been something more shady here, pointing out that there was simply no way to just "accidentally" trigger an alert like this. In all seriousness, I administer an emergency alert system. There is NO possible way to "accidentally" send an alert like Hawaii EMA did today. None. You can screw up the wording, but you can't just "hit the wrong button." There are safeguards, even with snap-send alerts. — TrollReversal (@Ninjabob1970) 14 января 2018 г.
Hawaii Governor says False Alarm caused by employee who pushed "wrong button". So why did it take 35-40 minutes to press the "right button"? — Randy Brister (@RandalBrister) 13 января 2018 г. — Jinho Choi 🔹 (@GoldenTalon) 14 января 2018 г. As expected, the false alarm also caused political trolls to come out in force, Trump supporters lashing out at the presumed incompetence of the Democratic Party-run state's officials, while the president's critics blamed his itchy trigger finger for putting the entire country on edge. The false alarm was incompetence within the Democratic-controlled state of Hawaii. There was a ridiculous process which allowed a single individual to “press the wrong button,” terrify the entire state, and potentially trigger a nuclear war. Dems need to focus on business. — First Words (@unscriptedmike) 13 января 2018 г.
Let’s be thankful that when the false alarm in Hawaii went out, our president was probably kicking his golf ball out of a sand trap & not anywhere near a nuclear button. — joel tyler (@joeltyler_) 13 января 2018 г. Finally, others wearily took note of the fact that 2018's just getting started. — Jerry Dunleavy (@JerryDunleavy) 13 января 2018 г.